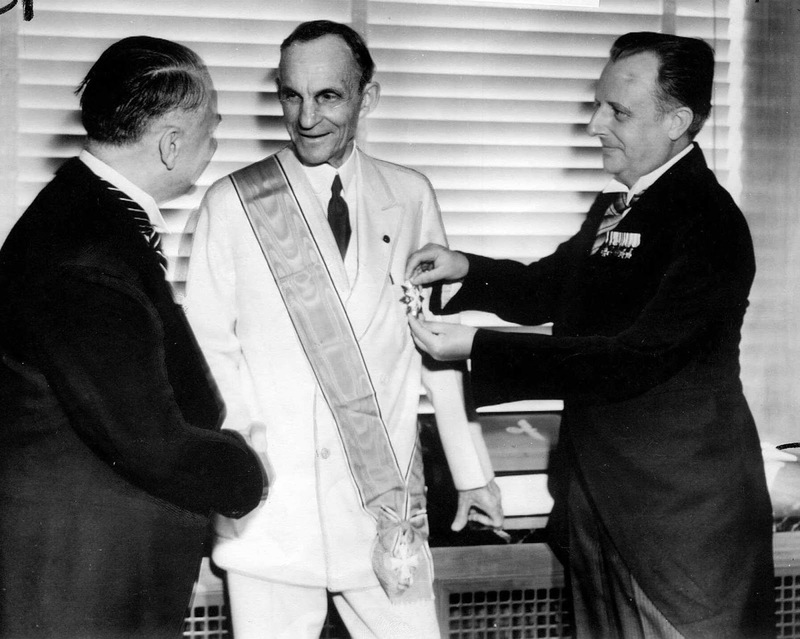 Ford Foundation Founder gets German Eagle Grand Cross from Nazi officials, 1938. Yet according to the same article, in 2005 Pacifica continued “to provide the show with $500,000 in operating support,” although the Democracy Now! Productions firm also collected money “from its TV broadcasters, Link TV and Free Speech TV, as well as through foundation grants, individual donations and sales from its online store.” In April 2004, for example, the U.S. power elite’s Ford Foundation gave Democracy Now! Productions Inc. a $150,000 [equal to around $200,000 in 2018] grant “to produce, broadcast and distribute a series of radio, television and internet reports,” according to the Ford Foundation’s 2004 Form 990 financial filing. And the following year, the Ford Foundation also gave a $50,000 [equal to around $64,000 in 2018] grant to Democracy Now! co-host Gonzalez to support the research for the News for All the People book that the then-NY Daily News mainstream corporate media columnist and former National Association of Hispanic Journalists [NAHJ] president co-authored with former NAHJ deputy director Joseph Torres. Gonzalez’s News for All the People book co-author is currently the senior external affairs director of the parallel left Free Press media group—which, coincidentally, received 9 grants, totaling $9.5 million, from the Ford Foundation between 2006 and 2017, according to the Ford Foundation website’s grants data base. “NALIP Board Member Joseph Torres' new book News for All the People…,co-authored with Juan Gonzalez, is being launched with a national book tour, starting in NYC with multiple stops in California, New Mexico, Texas, Colorado and Washington, DC. And, also not surprisingly, when Torres noted that “we got some funding from the Ford Foundation, and it led to—to work on this book,” Goodman, whose own daily news show had been funded with $300,000 in Ford Foundation grant money between 1998 and 2004, failed to ask Torres and Gonzalez how much “funding from the Ford Foundation” they got “to work on” their “book;” or whether or not the Ford Foundation still obtains its grant money by investing in corporations that exploit workers and middle-class consumers of all racial backgrounds at home and abroad. "The foundation had a record of close involvement in covert actions in Europe, working closely with…CIA officials on specific projects...On 21 January 1953, Allen Dulles, insecure about his future in the CIA under the newly elected Eisenhower, had met his friend David Rockefeller for lunch. Rockefeller hinted heavily that if Dulles decided to leave the Agency, he could reasonably expect to be invited to become president of the Ford Foundation. Dulles need not have feared for his future...Allen Dulles was to become Director of Central Intelligence. "With this arrangement in place, the Ford Foundation became officially engaged as one of those organizations the CIA was able to mobilize for political warfare...The foundation's archives reveal a raft of joint projects. The East European Fund, a CIA front in which George Kennan played a prominent role, got most of its money from the Ford Foundation...The foundation gave $500,000 to Bill Casey's International Rescue Committee [of which Nation editor Vanden Heuvel's father was also an official], and substantial grants to another CIA front, the World Assembly of Youth. It was also one of the single largest donors to the Council on Foreign Relations, an independent think-tank which exerted enormous influence on American foreign policy, and which operated (and continues to operate) according to strict confidentiality rules which include a twenty-five-year embargo on the release of its records...McGeorge Bundy, became president of the Ford Foundation in 1966 (coming straight from his job as Special Assistant to the President in Charge of National Security, which meant, among other things, monitoring the CIA)...The Congress for Cultural Freedom...was one of Ford Foundation's largest grantees, receiving $7 million by the early 1960s..."
Yet during the last two decades the long-time Democracy Now! show co-hosts have generally not provided their listeners or viewers with many news segments that examined in a critical way: (1) the role that Ford Foundation founder Henry Ford and his heirs or former Ford Foundation president McGeorge Bundy played in 20th-century history; (2) the political role at home and abroad that Ford Foundation has played historically or in recent years; (3) what the special corporate connections and economic interests of Ford Foundation’s present and past board members and the Ford Foundation have been; or (4) how the multi-billion dollar Ford Foundation obtained and retains its assets and the grant money it distributes each year. One reason might be because, between 1998 and 2004, $300,000 [equal to around $418,000 in 2018] in Ford Foundation "charitable grant" money was used to help fund Democracy Now! ; and a $50,000 [equal to around $64,000 in 2018] Ford Foundation "charitable grant" was given to then-NY Daily News columnist, former National Association of Hispanic Journalists [NAHJ] president and long-time Democracy Now! co-host Gonzalez in 2005 to support the research for the News for All the People book. In addition, in 2003--during the period when Democracy Now!’s part-time co-host was also the NAHJ president—the Ford Foundation joined the Knight Foundation in establishing a “Challenge Fund for Journalism” program that provided $240,000 in grant money to NAHJ between 2003 and 2011; and in 2008 a separate grant of $100,000 [equal to over $117,000 in 2018] was given to the NAHJ group by the Ford Foundation. The Ford Foundation’s historical funding of Democracy Now! began in 1998 when it gave the Pacifica Foundation a $75,000 [equal to over $114,000 in 2018] grant “toward marketing consultancy, promotional campaign and program development activities for radio program, DEMOCRACY NOW!”. But after listener-activists at Pacifica’s 5 radio stations pressured Goodman and Gonzalez in 1999 to break Pacifica Radio’s “gag rule,” and finally provide their listeners with news about Pacifica’s firings between 1995 and early 1999 in California of KPFA and KPFK volunteer or paid staff show producers who opposed the “NPRization” and corporatization of Pacifica’s programming and radio stations, Pacifica’s WBAI station managers stopped the Democracy Now! co-hosts from broadcasting from Pacifica’s Manhattan studios. Coincidentally, prior to receiving Ford Foundation money in 2002 to help air Democracy Now!, Deep Dish TV had previously been given 9 grants, totalling $335,000, between 1990 and 2000 by the same MacArthur Foundation that gave the Sound Portraits media firm of Goodman’s former WBAI colleague, David Isay, a $50,000 grant in 1997; and then, only three years later, gave an individual MacArthur Foundation “genius grant” of $500,0000 to the Democracy Now! producer-host’s former WBAI colleague, David Isay, in 2000. In addition, the J. Roderick MacArthur Foundation--that the son of the MacArthur Foundation’s billionaire founder established—gave the Institute for Media Analysis a grant of between $60,000 and $85,000 in 2001 to “support the production of Democracy Now!’, according to the J.Roderick MacArthur Foundation’s Form 990 financial filing for 2001. 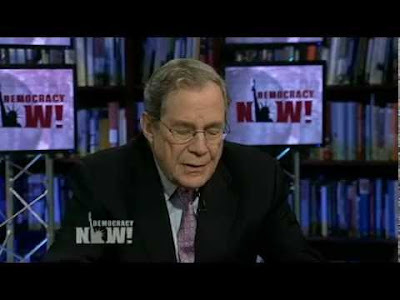 Funded Deep DishTV That Ford Foundation Used To Fund Democracy Now! Also, coincidentally, sitting on the Downtown Community Television Center’s board of directors, when Democracy Now! began broadcasting in September 2001 from Downtown Community Television’s building at 87 Lafayette St. in Manhattan a televised version of its “parallel left” daily radio news show, according to the Downtown Community Television Center’s 2001 Form 990 financial filing, was Tom Brokaw--the then-anchor and managing editor of the NBC Nightly News which the NBC corporate media network, that GE owned at that time, broadcast each evening. Brokaw, the husband of longtime Gannett corporate media conglomerate board member Meredith Brokaw, continued to sit on the Downtown Community Television Center’s board of directors until 2004, the same year he retired as the long-time NBC Nightly News anchor. Like Deep Dish TV, the NBC Nightly News-linked Downtown Community Television Center was the recipient of MacArthur Foundation funding, in the years before Goodman and her parallel left radio show “landed at the firehouse, a small limestone castle of a building owned and operated by Downtown Community Television” and from which the Democracy Now! show was broadcast between 2001 and late 2009. For example, between 1986 and 2000 the MacArthur Foundation gave 8 "charitable grants," totalling $475,000, to the Downtown Community Television Center (including a $100,000 [equal to around $213,000 in 2018] grant in 1988 to “rehabilitate” the building that Democracy Now! would later be broadcasting from), as well as a loan of $375,000 whose loan repayment schedule had been suspended, according to the television center’s 2001 financial filing. Sitting on the Public Welfare Foundation’s board of directors when the foundation, that super-rich Texas corporate media baron Charles Marsh established, gave Pacifica its $25,000 [equal to nearly $40,000 in 2018] grant in 1998 to help fund Democracy Now! was a long-time Democratic Party political operative, a long-time friend of Hillary and Bill Clinton and a former government official in the Democratic administrations of Kennedy, Johnson, Carter and Clinton named Peter Edelman. Between 1994 and 2012 Edelman sat on the Public Welfare Foundation’s board of directors as a member of either its grant review, finance, appropriations, nominating or policy and planning committees; and between 2007 and 2012 Edelman chaired the Public Welfare Foundation’s board. Prior to working as a presidential campaign staffperson for RFK and then receiving a Ford Foundation fellowship from former National Security Affairs advisor Bundy, Public Welfare Foundation board member Edelman had worked as a law clerk to a Supreme Court Justice named Arthur Goldberg in 1962, as a special assistant in the Democratic Kennedy and Johnson Administration’s Justice Department in 1963 and 1964, as a political operative in RFK’s successful campaign in 1964 for New York’s seat in the U.S. Senate and as RFK’s legislative assistant in the U.S. Senate between 1965 and 1968. When the then-U.S. Attorney General Bobby “Kennedy decided to run for the Senate” in 1964, Edelman “said to John Douglas [the Assistant Attorney General for whom Edelman worked as a special assistant], `Do you think I could get involved in the campaign?’,” according to the text of the longtime Public Welfare Foundation board member’s May 24 and 25, 2004 interview with the University of Virginia-affiliated Miller Center. And in RFK’s successful 1964 campaign, Edelman “was assigned to Bill vanden Heuvel, the chief issues person on the research side” of RFK’s 1964 campaign, according to the text of the same 2004 interview. 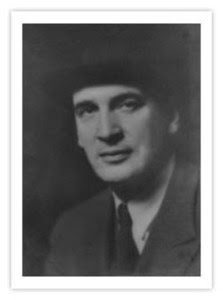 "First president of the Farfield [Foundation], and the CIA's most significant front-man, was Julius `Junkie' Fleischmann, the millionaire heir to a high yeast and gin fortune...He had helped finance The New Yorker [magazine]...`The Farfield Foundation was a CIA foundation and there were many such foundations,' Tom Braden went on to explain...Other Farfield directors included William vanden Heuvel a New York lawyer who was close to both John and Bobby Kennedy." “…In 1969 the League of Women Voters asked me to coordinate a conference….In fact I think it was my idea and somebody asked me what to do. Younger leaders would come together with older leaders….So there was a steering committee and we identified various elected and non-elected people over 30 who we thought would be admirable for younger people to meet, and we identified some younger people. “Hillary graduates from Wellesley and she makes that speech where she upbraids Senator [Edward] Brooke…It gets into Time and Newsweek and so on….So I called her up and I said, How do you do, I’m—and would you come to my conference? She says Sure. So that’s where it started…. Marian [Edelman’s wife] then gets appointed to be on the Carnegie Council on Children, which was a big thing that the Carnegie Foundation invested in….And Hillary comes to work summers and part time for the commission…She goes through law school, comes to work for Marian as her first full-time job out of law school…Then we hear that she’s gone off to Arkansas to marry this guy…In ’78, he’s elected Governor… We’re seeing Hillary right along. By this time she’s on Marian’s board, and after we move back to Washington in ’79 she comes and stays with us and we talk on the phone quite a lot…. 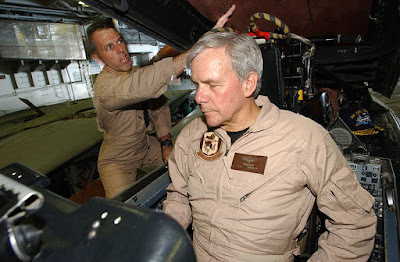 “In 1999, the U.S. national security state…launched round-the-clock aerial attacks against Yugoslavia for 78 days, dropping 20,000 tons of bombs and killing thousands of women, children, and men….Up until the bombings began in March 1999, the conflict in Kosovo had taken 2000 lives altogether from both sides, according to Kosovo Albanian sources. Yugoslavian sources had put the figure at 800. In either case, such casualties reveal a limited insurgency, not genocide. The forced expulsion policy began after the NATO bombings, with thousands being uprooted by Serb forces mostly in areas where the KLA was operating or was suspected of operating…During the bombings, an estimated 70,000 to 100,000 Serbian residents of Kosovo took flight (mostly north but some to the south), as did thousands of Roma and other non-Albanian ethnic groups…. The former longtime Public Welfare Foundation board member and chair is no longer the board president of the New Israel Fund, but in more recent years Edelman has continued to sit on the board of the New Israel Fund, whose annual revenues in 2016 exceeded $26.9 million, according to the “non-profit” organization’s 2016 Form 990 financial filing. 5. Former Hogan and Hartson/Hogan Lovells corporate law and lobbying firm partner Eric Washington, who is also now a D.C. Court of Appeals judge. In addition, the current president of the Public Welfare Foundation, Candace Jones, is a former program officer at the Chicago-based MacArthur Foundation. For sitting on the Public Welfare Foundation board of directors for just 1 hour per week between Oct. 1, 2015 and Sept. 30, 2016, each member of the foundation’s board was paid $6,000, according to the Public Welfare Foundation’s 2015 Form 990 financial filing. In addition, during that same period the “non-profit” Public Welfare Foundation paid its president a total annual compensation of $400,569, according to the same financial filing. Between Oct. 1, 2014 and Sept. 30, 2016, the Public Welfare Foundation gave at least two grants, totalling $160,000, to help fund the “parallel left” Institute for Public Affairs/In These Times magazine/website media organization, according to the foundation’s Form 990 financial filings for 2014 and 2015. Yet much of the grant money used to help fund In These Times magazine (whose editor and publisher, Joel Bliefuss, was paid an annual compensation of $83,194 in 2016, according to the Institute for Public Affairs' Form 990 financial filing for 2016) was obtained by the Public Welfare Foundation’s investments in the corporate stocks and bonds of corporations that profit from the exploitation and manipulation of workers and middle-class consumers in the USA and around the globe. On Sept. 30, 2016, for example, the “non-profit” Public Welfare Foundation’s assets exceeded $488 million, including over $126 million invested in corporate stock, over $137 million invested in corporate bonds and over $204 million invested in private equity or hedge funds; and $264,322 was paid by the Public Welfare Foundation to Common Fund for its “investment management”/stock speculation services, according to the foundation’s 2015 Form 990 financial filing. Besides receiving the $10,000 grant from the J.M. Kaplan Fund in 1998 to support its Democracy Now! show, Pacifica was also given a $25,000 [equivalent to nearly $40,000 in 2018] grant in that same year by the Public Welfare Foundation to help fund the news reporting of the Democracy Now! show. So, not surprisingly, during the last two decades the Democracy Now! producers have not aired many radio or cable tv news segments that examine how the Public Welfare Foundation (whose current assets exceed $480 million) obtained its grant money historically or how this “non-profit” foundation currently obtains its grant money. Until late 2011, “a granddaughter of Claudia Marsh” and “the daughter of Donald Warner who chaired the foundation’s Board for 10 years,” named Beth Warner, “was a valued member of the Board’s Finance committee,” according to a Nov. 8, 2011 Public Welfare Foundation press release; and Beth Warner’s 21st-century presence on the Public Welfare Foundation’s board of trustees continued “a tradition of family members and close associates of Charles Marsh serving on the board,” according to the same 2011 press release.